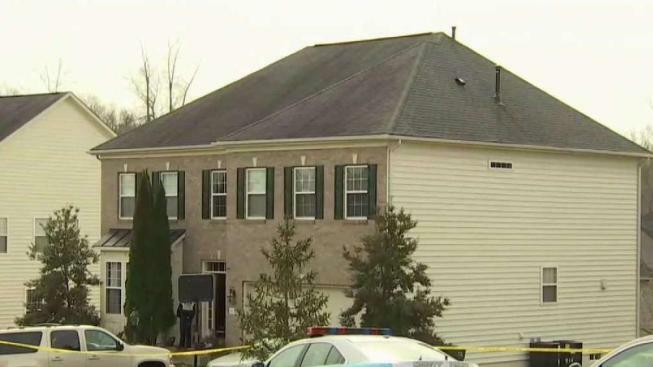 Officers say a man shot and killed a woman before fatally shooting himself inside a home in Dumfries, Virginia, Wednesday morning. Prince William County police say the shooting was contained to the house on Marjon Court and there is no threat to the public. Neighbors told News4 a wife, husband and at least two teenage children live in the home, along with a grandmother. Police said neither of the two people killed in the shooting lived in the home. The woman, who was a relative of one of the residents, was staying at the home, police said. The man came to the home and shot her after they got into a fight, police said. He then shot himself. Neighbors said they were shocked to hear gunshots coming from the house just after 10 a.m.
"I heard, like, boom!" neighbor Karen Rosa said.